Are you ready for winter? We've been excited for winter since Big Sky's closing day in April 2017. Now that it's officially Fall in Big Sky Country, we can start the countdown to winter in Big Sky, Montana. Woohoo! Now if you're a true summer fanatic, it's easy to be a bit reluctant to embrace the countdown to winter in Big Sky. Summer's great and no one's denying that, but winter in Big Sky is something special. Maybe you need a reminder of how fun and exciting winter in Big Sky really is? Big Sky Resort will open on Thanksgiving Day 2017. The resort will be spinning lifts from November 23, 2017 at 9 AM and will stay open until April 22, 2018. That's 4 months and 30 days that will be totally jam packed full of fun. With a 150 day long ski season there's plenty of time to enjoy Big Sky Resort's 5800 acres, 300 named runs, 4 mountains, 4350 vertical feet, and 400+ inches of annual snowfall. This winter is going to be a blast! Will this be the winter you ski the Big Couloir? End up on Tram Island? Ride a snowmobile through Yellowstone? Take an avalanche course? Learn to cross country ski? Buy a fat bike? Fly fish the Gallatin? Go backcountry skiing/splitboarding? Take your dog snowshoeing? Give ski joring a try? Learn to ice climb? Ski 100 days? Ride 150 days? Attend a ski movie premiere? Try something new this winter and make the 2017/2018 winter season you're best winter ever! 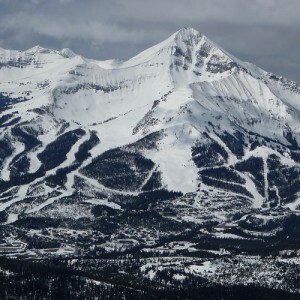 OnTheSnow.com predicts that Big Sky will have 115% of normal snowfall. Almanac.com predicts "above-normal snowfall in both. The snowiest periods will be in early and mid- to late December, mid-January, early and mid-February, and early March." Winter is coming. Give your gear a tune. Buy your season pass. Lock down your winter housing. Find a seasonal job. Book your flights. Watch ski movie trailers. Organize your vacation. Do a snow dance. Plan your trip to Big Sky. The countdown to winter in Big Sky begins today. Right now is prime time to get ready for ski season in Big Sky, Montana! We'll see you when the snow starts falling.